What are smart light bulbs and how do they work? Smart light bulbs are LED light bulbs controllable using a smartphone, tablet, or smart home automation system. While smart light bulbs are more expensive than traditional light bulbs or even regular LED bulbs, they use less energy and should last as long as traditional LED bulbs (that's around 20 years). They are available in standard white or with a color-changing feature, depending on the brand. Smart bulbs require a smartphone, tablet, or home automation hub to operate because they use wireless communication standards such as Bluetooth, Wi-Fi, Z-Wave, or ZigBee to connect to an app on your device or to your automation system. A few brands require a special gateway to work (it's a small box that talks to the bulbs), such as the Philips Hue Bridge, which is necessary to operate Philips-brand smart bulbs. Many brands use more than one wireless technology to better integrate your lights with other smart home devices and systems you may already be using. For example, a smart bulb may work with Bluetooth, Wi-Fi, and Apple HomeKit to allow you to configure your smart lighting using the option that works best for you. Many people who invest in smart home technology eventually decide to use a hub or home automation system, such as Nest, Wink, or voice-activated systems such as Google Home, Amazon Alexa, and Apple HomeKit. When integrated into a smart home system, smart light bulbs can be programmed to work in concert with other devices connected to your home automation system. For example, you can set up your smart lighting to illuminate throughout the house if someone rings your video doorbell after dark. Using a smart home automation hub still allows you to turn lights on or off while away from home, the same as smart lighting that connects to your smartphone through Wi-Fi. If you opt to control your smart lighting using Bluetooth, you'll only be able to adjust lighting when you are at home. If you leave home and forget to turn a light off, you won't be able to remotely turn it off from another location because you'll be out of the Bluetooth communication range of the bulb. If you choose to control your smart lighting using Wi-Fi, the time it takes your lighting to respond to changes you make on your device or app can vary depending on how many other devices are also using your Wi-Fi at that time. With Wi-Fi, the bandwidth is affected by the number of devices connecting to it. So, if you have several televisions, computers, tablets, and smartphones already connecting to your Wi-Fi, your smart lighting system becomes another device taking up bandwidth. Also, if the internet happens to go out because of a storm or other problem, all devices that depend on Wi-Fi — including your smart lighting — will go out too. Most home improvement stores, such as Home Depot and Lowe's, now carry several brands. Smart bulbs are available at home electronics stores such as Best Buy, as well as office supply stores such as Office Depot. Availability may vary by location for any of these brick-and-mortar options so you'll want to check with the store to make sure they carry smart light bulbs before heading out to shop. Online sellers such as Amazon and eBay are also good options, particularly if you're interested in installing smart lighting in several places in your home and might save money with bundle packs. Even IKEA is entering the market. Smart bulbs come in different sizes, so you won't need to buy new fixtures to house the bulbs. Depending on the brand and set-up you select, smart light bulbs have some cool features you won't get with ordinary light bulbs. Watching a movie or TV show that would be even better with coordinating lighting changes? Some smart bulbs can be synced with what you're watching to change the lighting and colors based on the action on your screen. Many smart light bulbs can use the GPS location of your smartphone while you walk through your home and automatically turn lights on when you enter a room or turn them off for you when you leave. 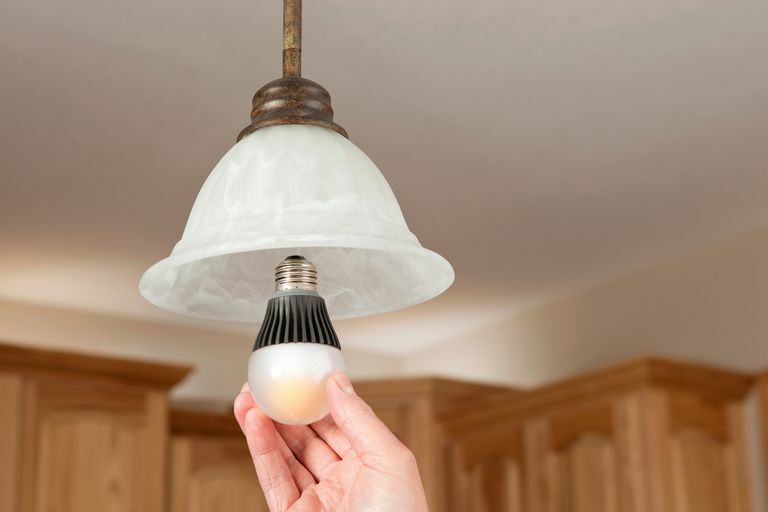 If you want a more permanent solution, or if you are building a new home and want to include smart features in your new home, consider including smart switches for overhead lighting and fans, and use smart bulbs for lamps that can be relocated.